A hot tub is a luxury item and you want to make the best investment possible. So how long does a hot tub last? Well the answer depends, in part, on how you care for it. Like cars, which also have mechanical elements, such as motors and heaters, as well as routine maintenance items that have to be changed periodically, like filters, and a gorgeous exterior to care for, the quality of the hot tub brand you purchase and how you care for it will determine how long your hot tub lasts. We’ve even met customers who have had the same hot tub since the late 1980s! Also similar to car buyers, many hot tubbers like to upgrade every 7-10 years, to take advantage of new designs, features and technological advancements. At The Spa and Sauna Company, we’ve worked on high-end hot tubs in the field, that we also sell in our showrooms, that have been over 20 years old. Some last 25 to 30 years! Even more entry-level spas hot tubs can last 15 years. We’ve seen entry-level spas that people kept for 10 years, traded in, and we have resold as used hot tubs to new customers. Those hot tubs still have a lot of life in them! A quality hot tub brand in a higher model series can last over 20 years when maintained properly. Though components of the tub may need to be replaced on occasion, the price to replace parts is minimal, especially when you consider the years of enjoyment and therapeutic value that a hot tub provides. Some advantages of the higher-end models include higher-quality jets, longer warranties, and quality therapeutic value. 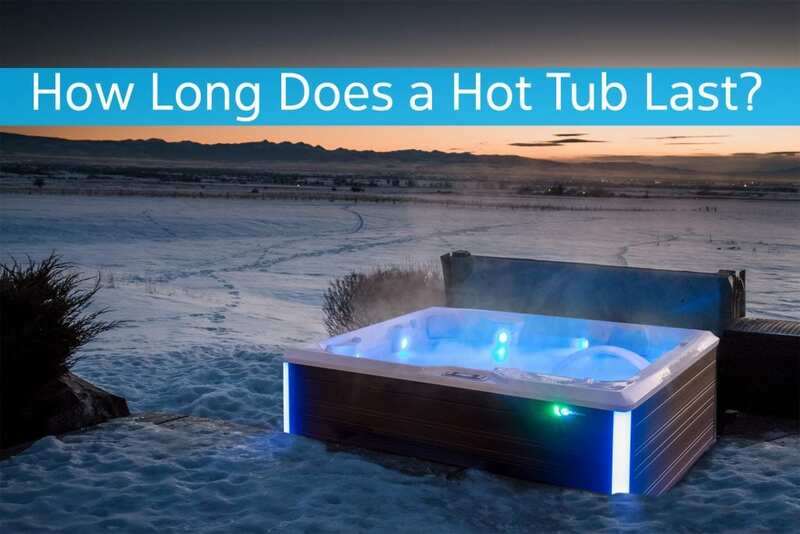 This is definitely something to consider while shopping for a hot tub. Sometimes making a larger up-front investment will extend your enjoyment of your hot tub in the later years of its life. To shop hot tubs now, Click Here to visit our Hot Tub Finder. This handy web page allows you to explore options by brand or seating capacity.